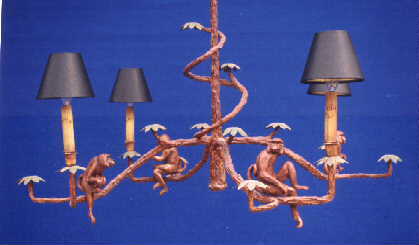 Description: 4 branch monkey chandelier. Steel and resin with 4 lights and green flowers. Shades extra.